Get ready to raise a glass! As previously reported, the Jimmy Buffett musical Escape to Margaritaville is set to play Broadway's Marquis Theatre beginning on February 16, 2018, and we've got your ticket inside the New York premiere. That's right—enter the Escape to Margaritaville sweepstakes for your chance to receive one pair of VIP tickets to attend the first Broadway preview on February 16. The winner and guest will each take home official gift bags packed with beach-ready merchandise. Hurry! The sweeps ends on July 23. Airfare and hotel are not included. Escape to Margaritaville includes Buffett’s classic hits, as well as original songs from the singer/songwriter. The story, crafted by scribes Greg Garcia and Mike O’Malley, follows a character named Tully at the titular tropical island resort as he questions about his relaxed ways upon meeting (and falling in love with) a career-minded tourist. Come From Away's Tony-winning director Christopher Ashley and choreographer Kelly Devine lead the creative team. 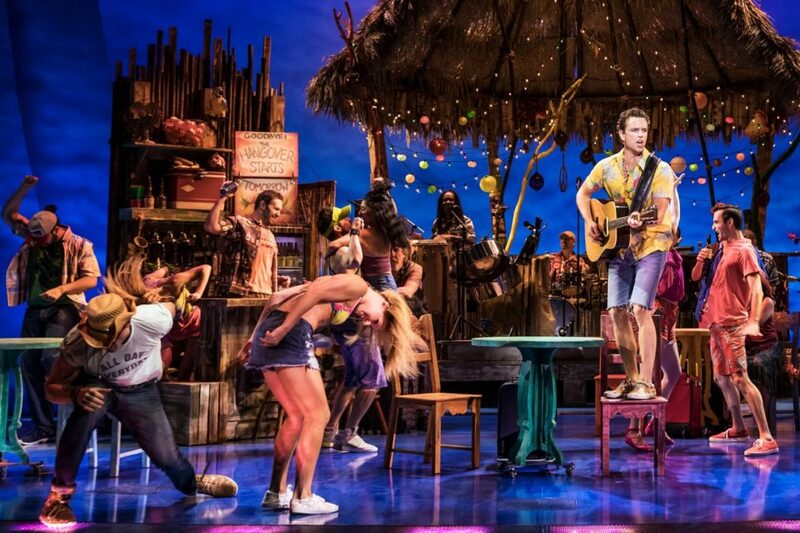 Escape to Margaritaville is currently making its world premiere at La Jolla Playhouse, in an extended run scheduled through July 9. The production will then go to New Orleans’ Saenger Theatre from October 20-28, followed by a run at Houston’s Hobby Center from October 31-November 5 and a Chicago stint at the Oriental Theatre from November 9-December 3.